Outdoor lighting provides important benefits for your home, including added safety, enhanced beauty, and more time to spend in your outdoor space. You and your family can make the most of the yard at your Roanoke home when you have outdoor lights installed. 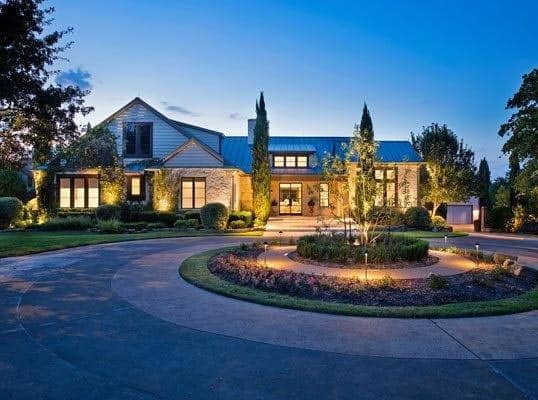 Creative Nightscapes offers the best outdoor lighting in Roanoke, Texas, whether you have specific design ideas in mind or need help coming up with a suitable design for your property. Our team of skilled lighting experts is here to assist you in selecting the ideal outdoor lighting for your home. At Creative Nightscapes, we offer a wide range of outdoor lighting options, including LED lights, poolside lights, patio lights, garden lighting, security lighting, and landscape lights. We can also help you select lights for the exterior part of your home, which can help accentuate certain features on it. When you want improved safety, curb appeal, and aesthetic value for your home and yard, you can depend on the professionals at Creative Nightscapes to provide it for you. Please contact us to learn more about the outdoor lighting services we offer and to get a free quote for your Roanoke home. Landscape lights are the ideal choice when you’ve invested in beautiful landscape features that are usually left in the dark. With landscape lighting, you can accentuate these features and make sure that they’re noticeable during the day and night. Landscape lights also offer better safety and security for your property, so you and your family have a reduced risk of falling. When you need reliable landscape lighting installation and design in Roanoke, Creative Nightscapes can help. With many years of experience in landscape lighting, our team can create the perfect lighting design and handle the installation process. Landscape lights need to be installed correctly to ensure that you won’t run into problems using them. When you count on the experts at Creative Nightscapes, you’ll have beautiful landscape lights that enhance your Roanoke property. 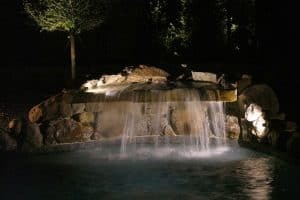 Whether you have a water feature that you want to highlight or decorative shrubs or ornamental trees that you want to accentuate, our experts can help you come up with the ideal design and provide you with properly installed lighting. Please get in touch with us at Creative Nightscapes to get a free quote for your landscape lighting. The cost of living index in Roanoke is 101, which is higher than the state index of 90 and roughly on par with the national average of 100. Those who live in Roanoke have an average household income of $61,000, which is higher than the national average of $53,000 and the state average of $52,000. The average home price in Roanoke is $144,000, which is higher than the Texas average of $131,000 and considerably lower than the national average of $175,000. Around 8,000 people have made their home in Roanoke, and the population continues to grow. Roanoke offers plenty of reasons to settle in the city, including outstanding amenities, low crime rates, good schools, and excellent employment opportunities. Those who live in Roanoke and wish to become more involved in the community can check for volunteer opportunities with local organizations and departments, including the Parks and Recreation Department, the Visitor Center and Museum, and the public library. Roanoke residents can drive for a little over a half hour via TX-114 or I-30 E to get to downtown Dallas. They can also get to downtown Fort Worth in a little less than 30 minutes via I-35W S, depending on local traffic conditions. Roanoke might not be a large city, but it offers plenty for residents to do all year round. The city hosts several community events throughout the year, including Celebrate Roanoke in October, a downtown Christmas parade, a family Valentine’s dance, Roanoke Bunny Hop, and Hunt during Easter, and Roanoke Third Rocks for Independence Day. Residents can also enjoy live music with the Evenings on Oak Street concert series, which takes place from March through September. Those who love having fun in the water can make plans to visit Hawaiian Falls Water Park. The park features water slides, family raft rides, and other exciting attractions for guests of all ages. Residents who want to know more about the city and its history can go to the Visitor Center and Museum. The center is located on the site that was once the 1886 Silver Spur Saloon. Those who want to stay active in Roanoke can spend time at the Recreation Center, which features fitness equipment, an aerobics room, children’s activity center, and more. Roanoke also has several parks for residents to enjoy. Roanoke Community Park features a fishing pier, playground, walking trails, and more, while Cannon Parkway Park has a splash pad, sand volleyball, and skate park. FairPlay park offers a swimming pool with slides, as well as walking trails. Makes such a difference when great lighting is added to the front and back yard. The design has highlighted our trees and home. Makes such a statement. The additional lighting is also a safety factor. Designing new lighting system for home in trophy club. Facade up lighting and pool area up lighting. Installed Kichler LED outdoor landscape lighting at home in The Highlands at Trophy Club. Placed spot lights to accent Agave plants, boulders, ornamental grasses, canopy of Oak tree, and grassy area behind the outdoor kitchen. Set path lights to highlight the walkways along the side of home and behind the spa. Installed back yard pool area lighting on home in trophy club. Tree up lighting and walkway lighting softly lit key areas on property. Installed Kichler LED outdoor lighting at home in Canterbury Hills. Placed up lights to accent the facade of home, grand entry, column and arch over patio, 2nd level facade, Magnolia trees, Maple tree, fountain, planters, Willow tree, Oak tree, and Holly trees. Mounted puck lights and hardscapes to highlight steps and walkways. 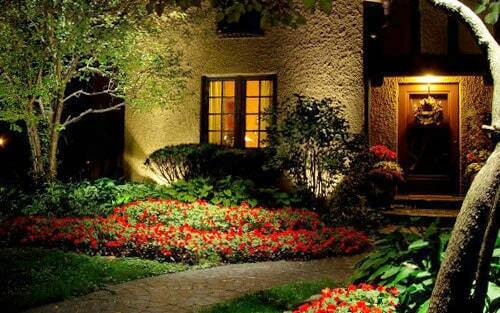 Set path lights to illuminate walkways, steps, landscape beds, pool deck, and garden area. Installed Kichler LED lighting at home in The Highlands at Trophy Club. Placed spot lights, path lights, wash lights and hardscapes in back yard and around pool.